Grips – Do they matter? Most players don’t change their grips often enough which can lead to blisters or the racquet slipping. Also using a grip which is too big or too small for you can lead to arm problems over a period of time. If your grip is looking a bit worn – or if you have perhaps never changed it all – it’s time to thing about getting a new one. We apply all our grips free of charge and this only take a few minutes. Grips start at £1.50 for overgrips and at £2.50 for full replacement grips. We have a selection of Overgrips available to buy in quantities from single overgrips up to boxes of 60+. Discounts are available when purchased with a re-string. We keep a range of replacement grips in stock at all time starting from £2.50. Including Karakal and Wilson with all grips professionally applied at no extra cost. We can resize your handle while maintaining the shape of the handle. No more need to have 3 or even 4 grips wrapped on top of each other to build up your handle. How often should I change my grip? Most players don’t change their grips often enough which can lead to the racquet slipping during play or to blisters. Overgrips should ideally be changed every 3 – 4 hours of play if not every time you play. Replacement grips will last longer but should not be used for more than 3 – 4 weeks in most cases. This largely comes down to preferance. However there is also a cost factor involved. Although they need replaced more often – overgrips are much cheaper than decent replacement grips are. So for tennis in particular overgrips are usually the preferred option for the tournament level player. Both overgrips and replacement grips can come in a variety of styles including tacky, soft, smooth, textured and so on. For squash and badminton a replacement grip is often preferred with Karakal PU Super grip being the most popular option. My grip feels too small - what can I do? We can increase your grip size by either a half size or a full size. Or more if required. To do this we use heat shrink sleeves or depending on the racquet we may be able to change the grip pallet which allows us to change the size down as well as up. Can I buy grips in bulk? Yes we can supply grips in bulk at discounted prices. This could be for tournament players needing to keep a ready supply in their racquet bag, or for coaches and clubs to use a prizes or to re-sell. Please contact us for more details and prices. What do you charge to apply grips? Any grips or overgrips purchased from The Racquet Lab can be applied professionally free of charge. Is there a discount on grips when getting racquets restrung? Yes any grip or overgrips purchased along with a re-string will be at a discounted rate. We will also apply your new grip completely free of charge. Discounted player packages are available for players competing at a Naional or International level. Please contact us for details. We provide an all round service which is unbeatable – from cleaning the frames to stencilling and presenting the finished job just like the pros! 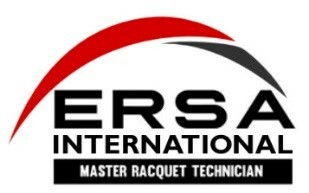 With over 16 years experience we can give you expert advice on every aspect of your racquets from purchase to stringing and customising.